The Supreme Court on Wednesday held Reliance Communication chairman Anil Ambani and two directors guilty of contempt of court on three contempt applications filed by Telecom equipment maker Ericsson against him over not clearing dues of Rs 550 crore. 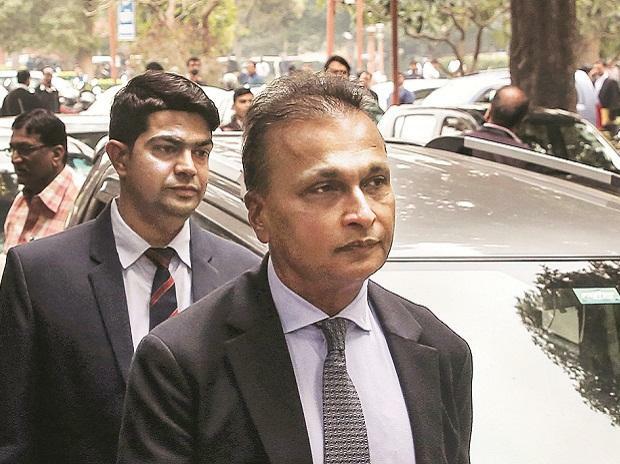 The apex court has asked RCom to pay Rs 453 crore to Ericsson within four weeks, failing which, Anil Ambani, Reliance Telecom chairman Satish Seth and Reliance Infratel chairperson Chhaya Virani would face a three-month jail term. The court also imposed a fine of Rs 1 crore each on them, which has to be deposited within a month. If they fail to furnish the amount, the three will be awarded a month's jail-term. A bench comprising of Justices RF Nariman and Vineet Saran said if the contemnor failed to make the payments within the specified period, they will undergo a jail term of three months. It directed that Rs 118 crore already deposited by Reliance Group in the apex court's registry be disbursed to Ericsson. "From the undertakings given by Reliance Group's top brass, it appears they have wilfully not paid the amount to Ericsson despite orders," it said. Earlier, in his defence, Ambani told the top court that with the failure of its assets sale deal with elder brother Mukesh Ambani-led Reliance Jio his company has entered insolvency proceedings and is not in control of the funds. Reliance Communication (RCom) had told the court they had tried to move "heaven and earth" to ensure Ericsson gets its due but was unable to do so due to the failure of assets sale deal with Jio. The court on October 23 asked RCom to clear the dues by December 15, 2018, saying delayed payment would attract interest of 12 per cent per annum. The plea by Ericsson had sought that the court direct Ambani and the lenders forum to hand over the Rs 550 crore with interest from sale proceeds as per the October 23 order. — RCom group to purge contempt by payment of Rs 453 crore within four weeks to Ericsson. — In case of failure to pay, Anil Ambani will have to suffer three months imprisonment. — Additionally, one crore fine imposed on each of the companies to be deposited with the SC.